HealthCMi provides acupuncture continuing education online courses that are valid for CMBA (Chinese Medicine Board of Australia) and AACMA (Australian Acupuncture & Chinese Medicine Association) continuing education credit. All HealthCMi courses are valid for CMBA CPD (Continuing Professional Development) activities for continuing education credit. The CMBA regulates Australia’s Chinese medicine practitioners and is part of the AHPRA (Australia Health Practitioner Regulation Agency), which is responsible for the implementation of healthcare national registration and accreditation in Australia. The AACMA is part Australia’s national registration and accreditation system. 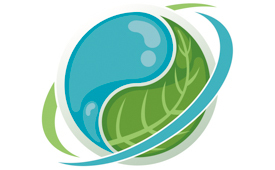 It is a professional organization for acupuncture and Traditional Chinese Medicine (TCM) practitioners. All AACMA practitioners are accredited with the Australian Traditional Chinese Medicine Practitioner Accreditation Board. In addition, practitioners in Victoria are registered with the Chinese Medicine Registration Board of Victoria. Check individual courses listings for AACMA approval for acupuncturist and TCM practitioner continuing education credit.